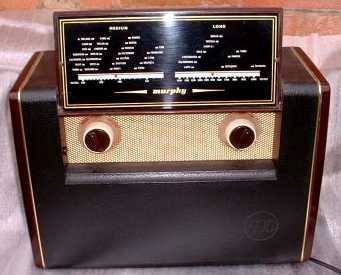 Well, it has been said before - Murphy made heavy quality sets...this fine BA228 is no exception. It was also made as a battery-only version, the BA229. It features a very cool tuning dial that flips closed and gives the case a very elegant look. It features a push-pull output stage and two dial lamps but still managed to keep the LT current at a reasonable 225mA.